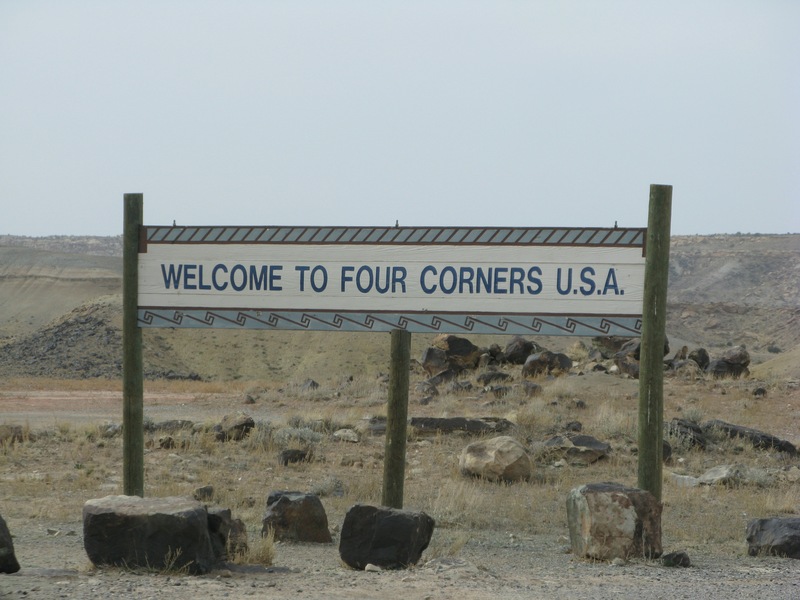 Knowing we were near the Four Corners area we made it a point to drive to the monument and take a look. 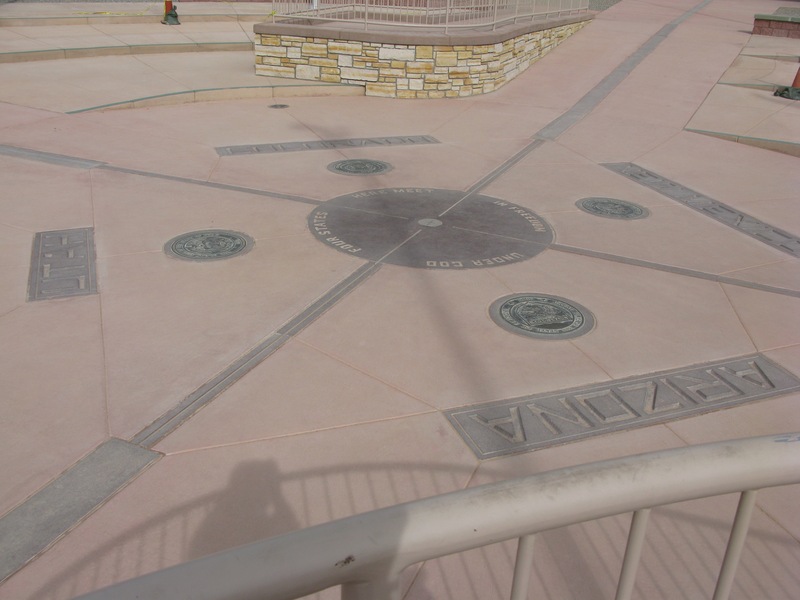 It is the only location in the United States where four states meet. This is the monument to that area. 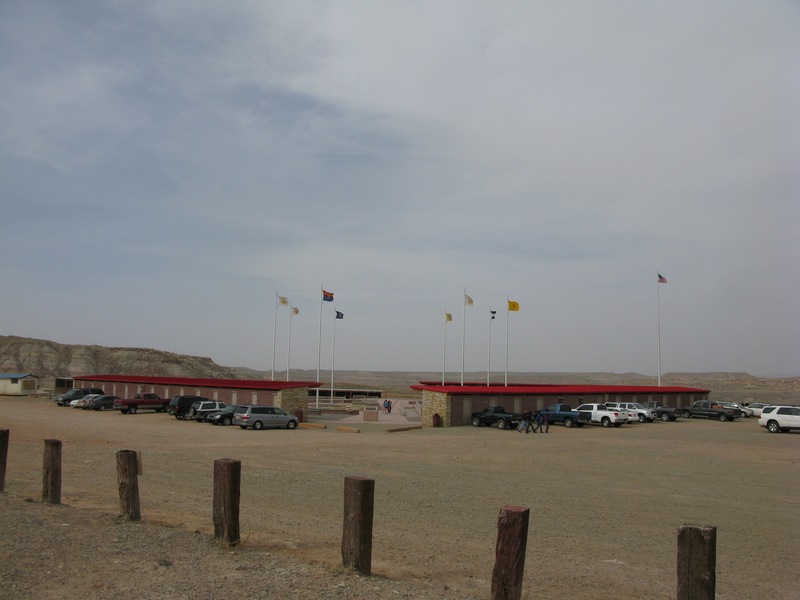 It is on Navajo land and not really near anything else of note. It was a highly windy day when we stopped by and there were far more Native American vendors plying their wares than there were visitors to the monument. The four states are Arizona, Colorado, New Mexico, and Utah. 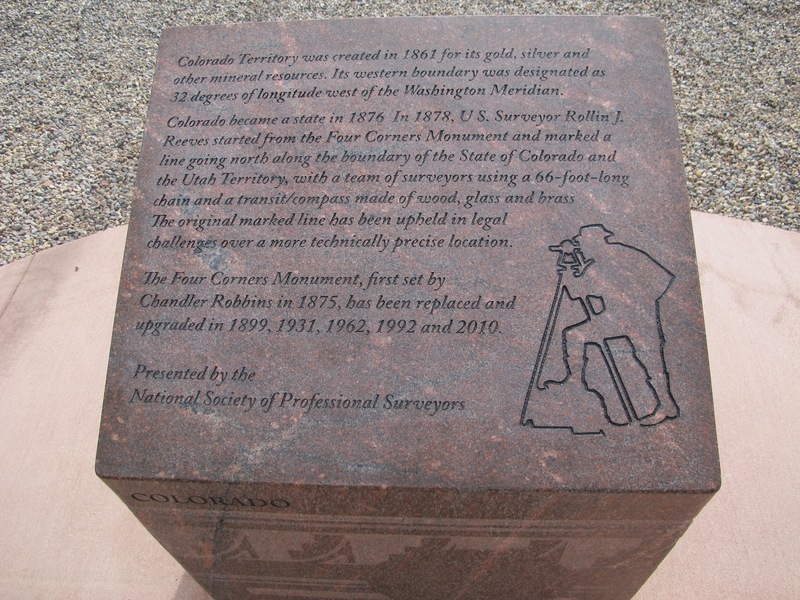 Each state has its own informational pillar as well as a quarter of the monument where they display their state seal. 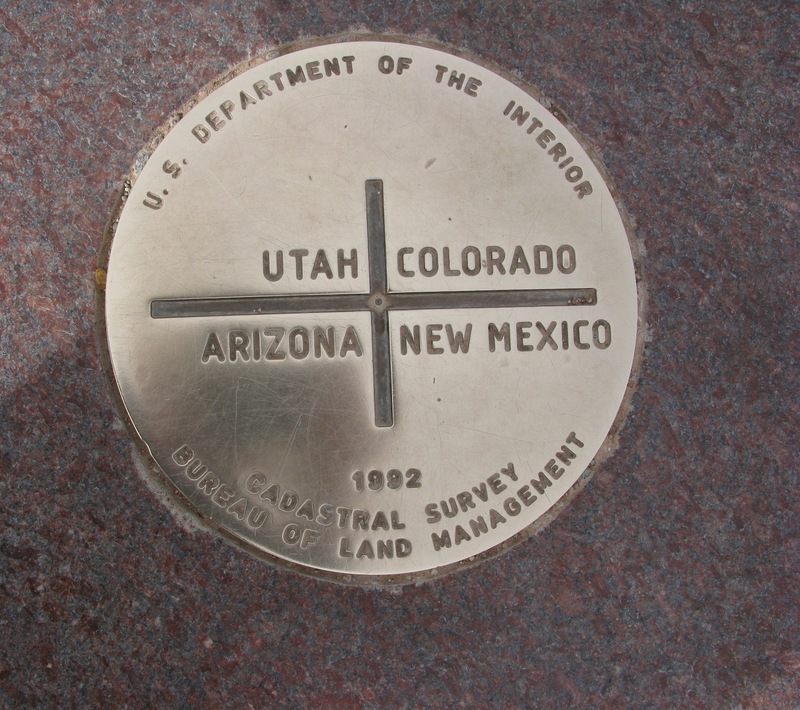 As we understand it the spot where the actual geologic Four Corners happens to be is several hundred meters away but this monument is legally recognized as the intersection of the Four States in question. 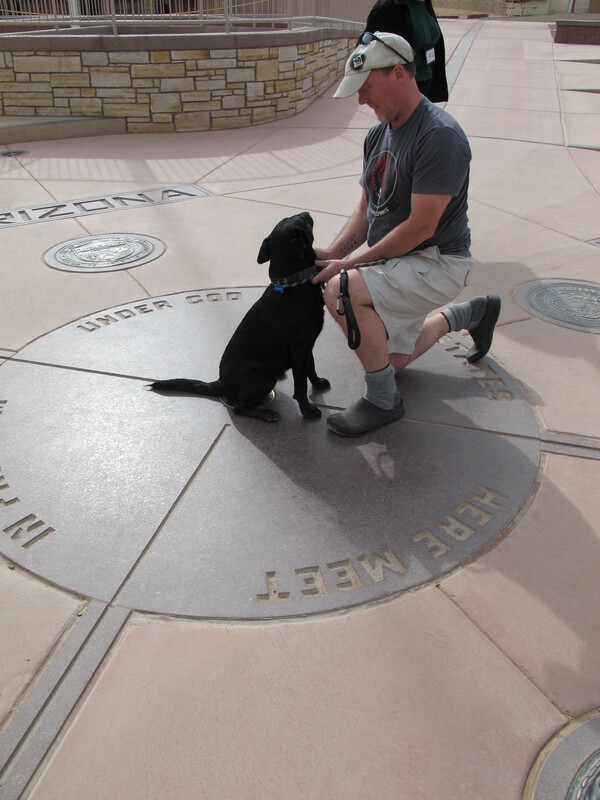 We wanted to do the traditional photo of a paw (or 2 hands and 2 feet) in each state’s quadrant at the same time but it really was too windy to not worry the tripod was going to blow over and Willow was just in an antsy mood so we settled for the one picture of me kneeling with her. Cute, yes but the picture is actually of me with a firm grip on her collar in order to calm her down enough for that mediocre picture. Oh well. We were there. We came. We saw. We took photographic proof. Now we just need to spend some more quality time exploring those four states.